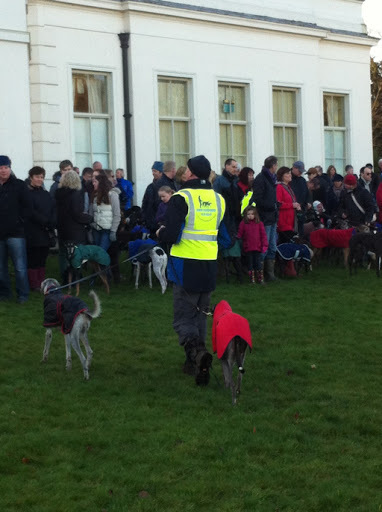 Greyhound Walk – New Years Day 2018! 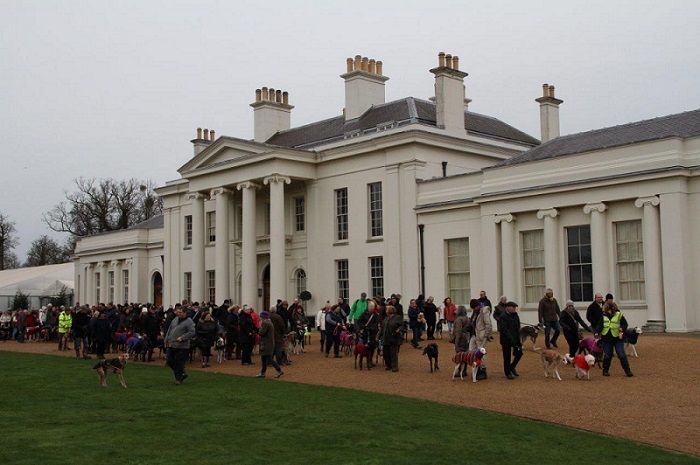 Are you one of the people who come to our now legendary New Years Day walk at Hylands Park in Chelmsford? 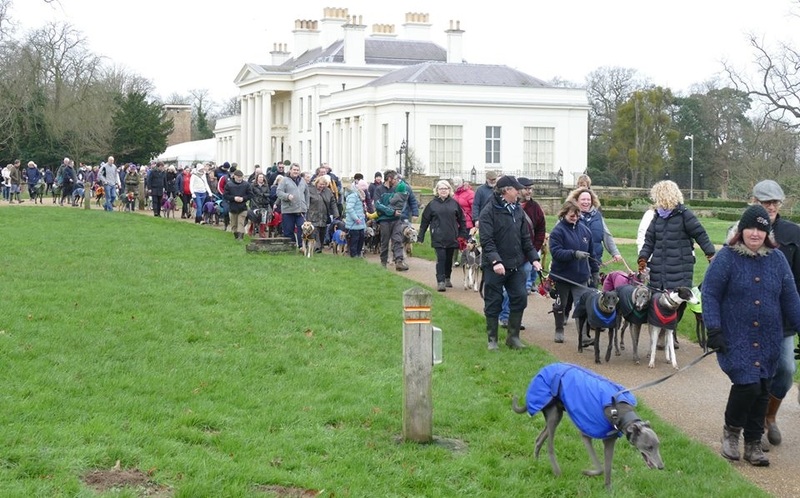 Or are you a new owner of a sighthound who wants to be a part of and witness the spectacle of a huge number of sighthounds gathered to celebrate the start of a new year? Join us then at midday on 1st January 2018 and let’s see if we can make some more greyhound history! Just a few from the group photo as they head off for their leg stretch. After the group photo the long walk heads down to the meadows.